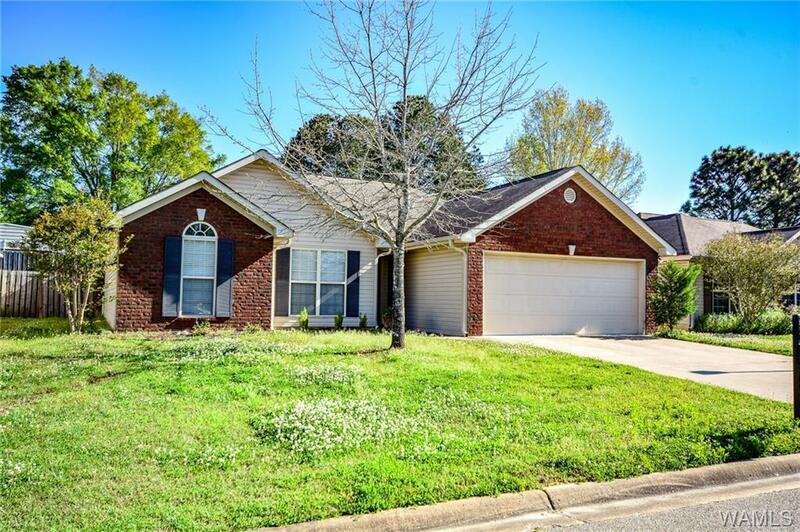 Great 3 bed, 2 bath brick home in Huntington Gardens! Split floor plan, gas fireplace in living room, open kitchen with bar and tons of storage. Large master bedroom boasts a walk-in closet, and bath with whirlpool tub, shower, & double vanity. Large covered patio and private fenced in backyard. Directions: From McFarland Blvd. Turn Right Onto Highway 69n, Turn Left Onto Mitt Lary Road, Turn Left Onto Cedarwood Avenue, Take The 2nd Left Onto Palmetto Street. Home Will Be On The Left.